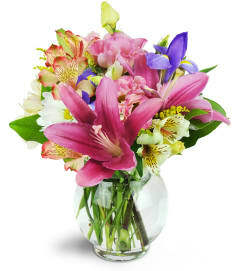 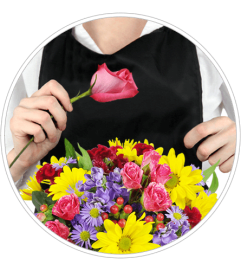 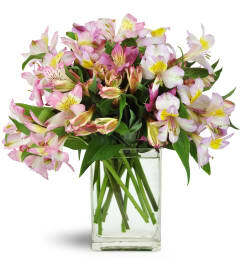 Send pink flowers today with our Delightfully Pink bouquet! Overflowing with fresh flowers including pink spray roses, white lilies and pink wax flowers. 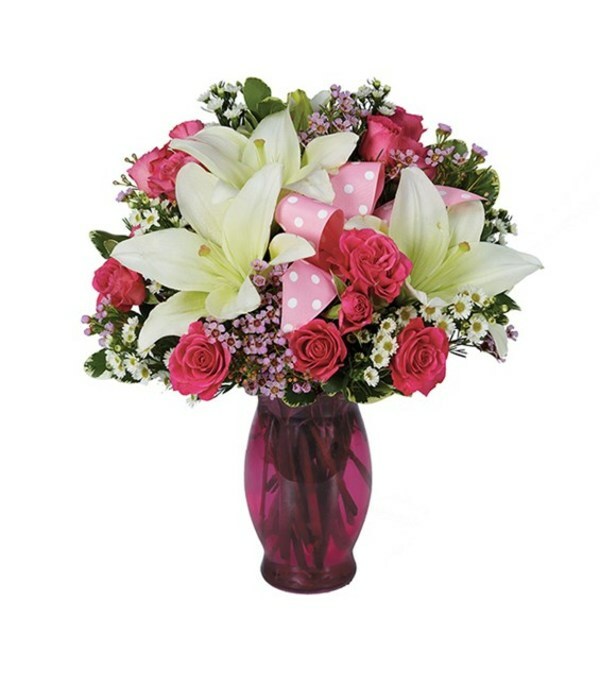 If you know someone who loves pink, they will surely smile when this arrangement is delivered to their door.